Kristi is global head of Margin & Collateral, Liquidity, Client Onboarding, and Reference Data Operations at Goldman Sachs, and is co-leading a firmwide effort to uplift the client onboarding process. Prior to assuming her current role, Kristi was co-head of Enterprise Operations. Previously, she held various leadership roles in Operations in both New York and London, spanning 21 years at the firm. Oliver began his career at the Bank of England as an economist in 2002. He worked in a variety of economic policy roles and separately spent three years in a macro hedge fund. He moved across to manage the Data and Statistics Division of the Bank in 2016 and became the Bank’s second Chief Data Officer in 2017. His responsibilities span the production of the Bank’s statistical datasets, quality assurance of regulatory data, internal data governance and planning for the Bank’s future data needs, covering both data collected from firms and internal analytical capability. Rakshit is responsible for continuing the development and implementation of HSBC’s Data & Analytics strategy, focusing on all aspects of the way we gather, manage, analyse and use the Group’s data as a key competitive advantage for the Bank and its customers. He will be a key player on defining and executing our journey to the cloud in support the data and analytics needs for HSBC. Rakshit joined HSBC from Travelers group in the US where he had group responsibility for Data Strategy and Analytics, Business Intelligence, and Cognitive/Robotic Process Automation. Prior to his time at Travelers, he held a senior role at JPMorgan Chase in New York, where he worked on the development of a world-class capability for data analytics across all the lines of business in the US consumer bank. He has also spent time in senior IT/Data roles over a 20+ year period with TIAA-CREF, Avaya, and Oracle. Rakshit is known in the industry for his leadership and delivery of large-scale strategic IT transformation projects in the data space. Rakshit received his Bachelors in Engineering from Indian Institute of Technology, India, and graduate degrees in Masters in Information Systems from George Washington University and Masters of Business Administration from University of Maryland. Christophe Tummers runs Shared Services Operations for UBS, which includes the Group Data Management Office. He brings to the table 20+ years of experience ranging from Operations, Human Resources and Technology. Beginning his career with UBS as a graduate student, through the years he has been tasked with overseeing firm-wide transformation programs, including various facets of new technology and management. In 2015, he was charged with the creation of the Group Data Management Office, responsible for establishing the framework for, and the implementation of, the UBS data management strategy. In this role, he was also entrusted with the firm's Reference Data Operations and Records Management Strategy. In 2017, Analytics was added to his mandate. Before taking on the Group Data role, Christophe ran Operations Technology for UBS responsible for the IT strategy, architecture and delivery portfolio of UBS' operations application portfolio globally and across all businesses. Christophe serves on the Singapore Management University, School of Information Systems, Advisory Board and sits on the Enterprise Data Management Council board, a leading advocate for the development and implementation of data management standards. A global citizen, born in Belgium, Christophe has worked in New York, London, Singapore and Zurich. He now calls Switzerland home. In his downtime, Christophe enjoys snowboarding, sports including muay thai, travelling and spending time with his partner. Ade Agbede, Managing Director, is the Global Head of Data Services Integration within BlackRock Data Services (BDS) which is part of Business Operations. He has oversight for Client Management, Aladdin Client Data Implementations, Product Management and large scale initiatives across BDS for both the firm and BRS Aladdin clients. Mr Agbede also has oversight for the BDS team in EMEA with responsibility for Core Operations, Asset Valuation & Analytics, Green Package Services and Data Engineering. He is also a member of the EMEA Tech & Ops Executive Committee. Mr Agbede's service with the firm dates back to 2006 including his years with Barclays Global Investors (BGI) which merged with BlackRock in 2009. At BGI, Mr Agbede was part of the Knowledge Management Group that was responsible for all data services within the firm and he worked in the London, Sydney and Singapore offices as part of this group. Mr Agbede joined the Investment Services team in 2009 as Regional Manager based in Singapore with oversight for Pricing, Index, Data, Green Package and Performance functions. Mr Agbede also led the Business Operations team in Gurgaon from 2012 to 2014. Prior to joining BGI, Mr Agbede was EMEA Head of Warrants, Syndicated Loans and Equity Share Sales at Bloomberg LP in London. Mr Agbede earned a BA degree in Financial Services and Business Information Technology from the London Guildhall University in 2003 and is an Investment Management Certificate (IMC) holder. Mark joined Schroders in 2014 where he has formed the Data Insights Unit, a team of data scientists. The team uses analytics and machine learning for investment and research, to give fund managers an ‘information edge’ over the market, and has now grown to over 20 data scientists. Before joining Schroders Mark’s career has been in various other Insight roles, including McLaren F1 (Race Strategy Analyst), Tesco (Customer Insight and Site Location Planning), Talent Innovations (CTO) and Telefonica Smart Steps (Head of Analytics of Telefonica’s Big Data monetization initiative). Chris has a vast amount of experience in data management and global team leadership having held increasingly senior roles in both Tech and Investment Banking sectors at companies such as Barclays and Thomson Reuters. Today he is directly responsible for delivering the data component of the Think Forward Strategy for ING globally as part of the COO organisation, working with partners across the business. Chris is also a key contributor to the planning and delivery of FIMA Europe in 2018 as Chairman of the Advisors. After 6 years within the buy-side fintech space, Barnett has returned as the head of IT & Data at friends life Investments. The time away from the business was an extremely valuable experience allowing to complete the understanding of how the IT & Data relationship can connect to deliver a “solutions department” that is business friendly, accountable and costs effective. This experience has allowed for the successful creation of a new investment manager built for change and growth. Barnett collects and shares his experiences through participation in the right networks and industry bodies. Barry is a seasoned Chief Data Officer, acknowledged in the Data IQ Top 100 and Data Leader awards in 2018 . An international speaker, sharing the benefits of the data management framework he has developed to provide a flexible and modern approach to understand and leverage business value from data. Barry’s broad business background ensures he can understand the business strategy, allowing development of a complimentary data strategy to maximize business opportunities. In the last five years he has held CDO roles at HSBC and Bank of Ireland . He is a conduit to drive change and collaboration through strong communication skills. He has an undergraduate degree in Finance from Massey University, New Zealand and an Executive MBA through the TRIUM program (London School of Economics, NYU Stern School of Business and HEC Paris). Specialties: Business Management, Change Management, Programme Management, Project Management, Operations, Process Improvement, Strategy Execution, Re-engineering, Functional and Technical System development, Problem Solving, Data Governance, Data Architecture, Conceptual Model development, Information Strategy Development and Implementation, Process and Data Ownership, Business and Data Strategy. Hany recently took up a senior role at Aon as the subject matter expert on GDPR. Previously he was directly responsible for heading up data in EMEA at State Street Global Advisors and building and leading their new GDPR team. He brings to any role a wealth of experience in data team leadership as well as a strong background in technology and data analytics. James has lead the HSBC Asset Management Group’s global data strategy, policies, processes and organizational structure for the past 5 years. In this time the business and the capabilities required to support Asset Managers has constantly evolved and grown. As a result of this constant drive for innovation, James now also leads the Fintech partnership and Innovation function for the Asset Management business. James believes technology & data should be brought together to create scalable and broad capabilities to drive and support the overall wider business strategy. Mark has over 20 years’ experience in the management of development and infrastructure teams in the finance services sector. This includes senior roles at NatWest Bank, Merrill Lynch, Dresdner Kleinwort, NYSE Technologies, ICBC Standard Bank and now Santander. Throughout his career Mark has focused on transforming data capabilities for each of the organisations he worked for. Huw is an experienced Global Managing Director operating across regional and cultural diverse functions leading both operational and strategic delivery. His responsibilities include running the firms data initiatives, recognising data as a strategic asset, ROI, operational efficiency, regulatory adherence and creating a future platform. Senior positions Huw held in the business prior to his current role include Global Head of Operational Risk, Global Risk COO and Global Head of New Business. Dr Ruben Lara is Chief Data Officer at Standard Life Aberdeen. Prior to joining Standard Life Aberdeen in 2016, Dr. Lara held senior positions at Vodafone, where he was Head of Big Data Analytics, and at Telefonica, where he was Head of Big Data Product Development and Innovation. Ruben started his career in financial services, working as a technology consultant specialised in data and analytics. Ruben holds a PhD in Artificial Intelligence, and has received the First National Award in Computer Science from the Spanish Ministry of Science and Education. Suresh is currently Executive Director – Head of Enterprise Data Management (EDM), India and leads the center of excellence at Nomura Services India Pvt. Ltd., having day-to-day responsibility for Operations covering Client Data, KYC, Instrument Data and Organizational Data, across line and project teams. He has been the Reference Data Execution Lead for regulatory projects such as BCBS239 and is currently the Global Innovation Lead for EDM as well, within Nomura. Roberto joined Lloyds Banking in April 2017 as the Group Chief Data Officer. Prior to joining the Group he has spent the last three years as implementing the Enterprise Data Management framework in GE Capital International, as their Chief Data Officer. His career in GE Capital started in the Fleet Services division in 2000 as the IT Country Manager for Italy, and then he moved to the HQ of the unit in UK with the role of IT Relationship Manager liaising with all European teams. Subsequently as part of the GE Commercial Finance unit he implemented the Basel II framework for its European Regulated Entities. In 2009 Roberto was appointed as leader of the Business Intelligence GE Capital EMEA and, in a dual role, also established the IT Governance Risk and Compliance framework across the region. In his early working life, from 1995 to 2000, Roberto has been part of Nissan and then Ford, where he has held a number of IT infrastructure and support roles for the company’s Italian units. Roberto is a graduate of “Universita’ Federico II” of Naples Italy, holding Bachelors in Aeronautical Engineering. Adam leads the UK Finance, Risk, Compliance and Regulatory business in capital markets and banking. Adam has 28 years’ experience in Banking & Capital Markets, Risk & Compliance, Finance & Operations and Programme delivery. Adam’s focus is on working with clients to design and deliver programmes to address banks’ most pressing concerns and opportunities. Before joining Accenture Adam was a Managing Director at Deutsche Bank initiating and executing major programmes of change. Adam is a Chartered Accountant and MBA. Isabel is a “Thought Leader” where her vision and thoroughness have been key for success. She has both the business and technical knowledge that are required for driving IT transformations. Isabel takes advantage of excellent communication skills in partnering with the different stakeholders (Business, IT, Operations, Procurement) at C-level. Since 2011, Isabel is working at ICT director level. For 17 years, Isabel worked as Chief Architect leading digital transformations, designing and implementing smart Service Oriented Architectures for several companies in Europe. She defined technical solutions for the most complex projects, resolving impossible or troubled projects to a successful end and created new assets with business impact. Isabel has the unique capabilities to quickly master very complex environments, analyze the pain points, work out the vision and communicate up to C-level executives. She is specialized in designing the 'big data lake' vision, leading complex system integrations and business application modernization into production. In August 2012, Isabel was elected as member of the prestigious international IBM Academy of Technology, consisting of IBM top technical talents. She received multiple outstanding technical achievement awards. Mr. Kapur has been a data leader and visionary in the industry, driving the industry towards continuous innovation and evolution of data government and data management as enablers of business initiatives for operational efficiency, regulatory compliance and revenue optimization. Since 2015, Peter has worked at AIG and is responsible for operationalizing data management and bringing data transformation across AIG’s business units globally. Previously, he led data innovation and change management programs in various companies including DTCC, Credit Suisse, Goldman Sachs and Deutsche bank. Peter prides himself on having successfully used data and metadata to transform and further organizations’ data culture, tools and analytics, data quality, and regulatory compliance. Emma is Head of Data Governance at M&G Prudential, responsible for driving forward data governance capabilities. This includes the continual evolution of the data governance artefacts which underpin the framework. Emma utilises significant change initiatives and transformations as opportunities to embed data governance practices within the organisation. Emma joined M&G in 2007 and has extensive data management experience including leading strategic data change, regulatory reporting initiatives, and operational development. Jeffrey graduated in both Information Technology and Law. By combining the in depth knowledge from both fields, Jeffrey has built up an international profile in the field of data protection and data governance. In addition, Jeffrey currently pursues a Phd on the subject of Privacy and big data where he investigates the impact of big data technologies on society and the preferable legislative response to big data. James is an IT expert with extensive experience in aligning IT services to the customer’s business objectives. He has worked at a variety of businesses in the financial services sector including Thomson Reuters, Bear Sterns, Aviva and now Barclays Capital and specialises in IT asset management and services delivery. A tenacious and enthusiastic professional banker, with deep experience of delivering financial models & data solutions to solve business problems. I am a qualified project manager, and experienced business analyst, but it is my passion for delivery and strong motivation which set me apart from my peers. My broad perspective and strong relationship focus enable me to influence stakeholders at all levels. Søren Dambæk is Global Head of Market Data Management and Client & Platform Configuration at Saxo Bank. Søren Dambæk has been with Saxo Bank since 2007 overseeing a wide range of functions in the bank. For the first seven years as part of the Legal function,since then he has headed the Onboarding function, and from 2015 he has headed Saxo Bank’s global market data function out of the head office in Copenhagen. Through his ten years with Saxo Bank, Søren has worked to ensure that Saxo Bank’s facilitation of multi asset international trading comes together operationally and contractually from vendors and counterparties to the end client. Prior to joining Saxo Bank, Søren was Compliance Officer for the Danish bank, SkandiaBanken. Søren Dambæk holds a Msc in Business Administration and Commercial Law (Cand. merc. (jur.)) from Copenhagen Business School. Robin Doyle has worked at J.P. Morgan Chase for over 20 years and is currently Managing Director, Office of Regulatory Affairs, where she is responsible for developing strategic responses to a broad array of regulatory initiatives, analyzing the impact of regulatory proposals, developing the firm's positions and preparing for the implementation of final rules. Ms. Doyle also spent over seven years as the Chief Financial Officer for Corporate Risk reporting to the firm’s Chief Risk Officer and has worked in JPMC’s Chase Home Finance business unit and managed the Firm’s Accounting Policies Group. Prior to joining J.P. Morgan Chase, Robin worked for Midlantic National Bank, KPMG Peat Marwick, and Prudential Insurance Company. Simon has worked in the capital markets for over 12 years holding a variety of increasingly business roles at RBS, ABN AMRO, Royal Bank of Canada and now Nomura. He has also spent time as a consultant. Currently Simon is responsible for driving innovation in client lifecycle management as part of the global operations team. Chris is responsible for Market Data Product within HSBC Securities Services, and is currently identifying areas of cross-over in data content in order to achieve efficiencies for regulatory reporting. Chris also works extensively with the industry to address and overcome challenges presented by new regulatory data. Dennis has served the noble cause of financial information management for many years. He has lived and worked in London, Hong Kong, Osaka and Basel (Switzerland) before taking on his current role as head of data governance at the European Investment Bank in Luxembourg. He consistently sees the way managing and governing data properly can help to break down entrenched organisational silos, improve collaboration and help to create a clear view of corporate data, processes and operations. In his main presentation, Dennis will draw on a wild range of examples and links between: football’s Carling Cup; professional comedy and information security; how a single collaboration-related data-quality error led to the spectacular failure of a NASA Mars probe; and even how losing a common language for understanding data can lead to a disaster of biblical proportions, as dramatically illustrated in – of all places – the bible. While seeking that delicate balance between “informative” and “entertaining,” Dennis will reinforce how critical it is for complex organisations to identify, manage and govern their data as a key success factor for achieving core mission and strategic goals. Ian is the Group Data Management Lead at Bank of Ireland with accountability for Data Strategy, Policy and Implementation of the Data Management Framework. Additionally, Ian is also accountable for safe delivery of BCBS 239. Prior to this role, Ian led Bank of Ireland’s Enterprise Data Warehouse implementation in 2016 which has enabled significant value to be delivered from data. Before moving back to Ireland in 2014, Ian spent 17 years working in London in senior roles in Regulatory Change, Treasury and Risk for HSBC, Deutsche Bank and UBS. Emma Movitz is Head of Group Function Information & Reporting, responsible for the Regulatory reporting of Nordea and related application landscape. Emma has an extensive experience in Regulatory and Business reporting including development of functionality for reporting purposes. In her current position, she is driving the vision of providing compliant common information enabling competitive advantages across Nordea. With over 28 years experience across The Toronto Stock Exchange, Reuters, Citigroup, HSBC and Barclays Kiou has a wide range of experience and skills in the Financial Market Data industry. Kiou is the Head of Market Data Commercial, Legal and Controls and has been at Barclays since 2007, leading a global team centralising the commercial and contractual negotiations, risk management and supplier relationships. This included internal and external audit and regulatory interactions and reporting and Index Licensing specifically focusing on Index and derivative product creation. Robert has been with UBS for over 11 years in increasingly senior roles each with responsibilities for enacting strategic change. Most recently he has held global positions in the Chief Data Office overseeing entity and reference data management. Prior to UBS Robert worked at JP Morgan. Giancarlo started his carrier at Ernst & Young as external auditor. Then he joined the Belgian banking and insurance supervisor, where he was responsible for compliance, reporting and XBRL. He was member of various committees within EBA, Basel Committee, EIOPA, IAIS, IOSCO and IASCF. After, he joined Dexia Group, as Head of Prudential Policy, where he had responsibility for Pillar I impacts and financial, regulatory reporting and for lobby. Later Giancarlo joined BNY Mellon in Belgium, as Managing Director. He was mainly responsible for consolidation and IFRS accounts, supervisory reporting, and management reporting. Giancarlo is now working at the ECB, as Head of the Supervisory Statistics Division. The division develops, collects, controls and disseminates within ECB and to EBA, ESRB and other stakeholders all supervisory reports. It also controls the data quality of reports from all supervised banking institutions. Finally, it produces derived statistics and indicators for quantitative risk assessment. Olga Petrenko is the Senior officer in the Market Data Policy Team within the Markets Department at the European Securities and Markets Authority (ESMA). She is involved in ESMA’s work on defining reporting requirements that stem from European regulatory regimes, including EMIR, MiFID II/MiFIR, MAR and SFTR. Her current tasks focus, among others, on ESMA implementing measures on trades, transactions, order book, instrument reference data and securities financing transactions reporting. Ms. Petrenko joined CESR (predecessor of ESMA) in March 2009 from the Lithuanian Securities Commission where she held the position of the Head of the Market Monitoring Division. Holding multiple degrees, Kate is an ambassador for diversity. She believes anyone with an aptitude can master data technologies and a diverse talent pool drives innovation. Her initiatives are targeted at reducing time-to-market for new financial products, making HSBC a more data-centric organisation and growing the firm’s business in a safe way. David Rassool is Head of Data Science who delivers advanced analytical solutions for Group Functions Information & Reporting and Group Functions. David’s team provide solutions using advanced Machine Learning approaches and also guide the evolution of data and processing platforms to provide capabilities needed to support work today and for the future. Data Science provides a boost of expertise related to the development of large-scale solutions – helping the shift to business- rather than IT-driven decisions. It’s a multi-disciplinary team drawing on skills from advanced statistics, banking processes and data, software development and machine learning. Olivier Rose joined the Fund administration division of Société Générale Securities Services in 2004 to become responsible of the market data workstream in the project of implementation of the new SGSS fund accounting software. In 2008 he became responsible for international data management and the specialist involved in all projects requiring market data expertise. Previously Olivier had a long experience in various aspects of market and insurance activities and more particularly in areas of operations, fund administration and IT developments. Leveraging from his past experience within international companies (including US and Japanese), Olivier is also involved in several influential bodies to sponsor market participants point of view. Sanjay Saxena is head of Enterprise Data Governance at Northern Trust - responsible for establishing the data governance and data quality program across the enterprise. In his prior roles he has led major transformation programs in Data Governance, Data Management and Technology in banking and insurance. Sanjay has held positions in several Fortune 500 Financial Services firms. He has consulted at financial services firms and has led several large transformations programs. He has expertise in setting up and implementing large data programs and is a thought leader in harnessing the power of data for competitive advantage. Ferd is an experienced data architect with a broad knowledge of information management, data lakes, big data payments, middleware, service oriented architecture, connectivity, application development tooling and business intelligence. He is currently leading modernisation efforts of enterprise-wide data architecture and information management at ING. Following a range of roles in Financial Services starting in 1992, Graham joined the RBS Group in 2009 as COO for Risk Management in Corporate Banking. In 2011 he became the first RBS Chief Data Officer and was responsible for formulating the data management agenda within RBS. Graham is now Head Of Data Innovation, using his experience and vision to drive improvements in the way RBS utilises data across the Group. These improvements have enabled the bank to serve its customers better, maintain its regulatory obligations and drive bottom line value. Benoit has worked for some of the biggest asset management firms and investment banks in the world developing strategic products for businesses’ including Credit Agricole, Lazard, Bank of America and now Blackrock. In his current role Benoit is responsible for the iShares product portfolio, a role that became global earlier in 2018. Deepak is a data expert who has worked in both technology and investment banking sectors and is currently at Deutsche Bank having spent 8 years before at Goldman Sachs where he has held increasingly senior positions. A change expert Deepak has operated around the world including in India, Singapore and now London. His current responsibility is for global instrument reference data management. Bert is Group Head Data Governance for ING since early 2015. IN this role he is joinly responsible to implement the ING Data Strategy across the bank. In his primary responsibilities are Data Policies & Data Protection, Data Definitions & Data Modelling, Data Quality, Issue Management & Remediation as well as Master & Reference data. Having a lot of experience with data, analytics, a variety of different technologies and architectures, Alex took on a new challenge as Machine Learning & Analytic Chief Architect to build Data Science at HSBC to an enterprise level and to further promote and organise the use of data in this huge, probably the most diverse data estate. Alex has a rare combination of technology leadership, deep technical expertise, strong management skills and the ability to engage people around to shared vision. Lynn is Head of Data Governance within the Chief Data Office at Lloyds Banking Group. Responsible for launching the Group Data Management Policy, the challenge is now to embed this across the organisation and ensure colleagues are supported through the right roles, governance bodies, tools and processes. Helping everyone to understand their individual and collective responsibilities to ensure data is used to drive compliance and Customer benefits. Lynn has over 20 years experience in all aspects of Data Management, including Data Architecture, Data Quality, Enterprise Data Warehouse solutions, Data Migration and delivery of multiple regulatory projects, including BCBS 239, Basel II. Prior to joining Lloyds Banking Group, Lynn held data-based roles at Barclays, LloydsTSB and British Telecom. Lynn is a graduate of “BA computing and Information systems” from Brighton University and lives with her husband and two children in Brighton. Mark has been working at Handelsbanken for 27 years and currently heads up the data team in the UK, prioritising the internal relationships and information flow between the Retail Business (branches) and the data parts of the Group, improving data quality, and increasing transparency of data which will help improve and enhance the customer relationship. Afsheen is well known in the global data community as an expert on data science and AI for financial services. He recently worked as the Chief AI Officer for Cerberus Capital where his role was to start and lead the development of a proprietary data and advanced analytics platform. Prior to that Afsheen worked as the Chief Data Science Officer at JP Morgan. Experienced data science and technology leader with a demonstrated history of working across multiple industries. A self confessed geek, and someone who is as happy leading C level initiatives as hands on writing code or developing analytics. Highly proficient with a wide variety of technologies, and having an academic background spanning economics, econometrics, computer science and maths. With more than 25 years of experience in the Financial Services Industry, Lesley joined TD’s Office of the Chief Data Officer (OCDO) in 2016 with a mandate to further the belief in and adoption of data governance practices across multiple Stakeholder groups in the bank. Lesley is a recognized leader in the field of change adoption and culture and an experienced and passionate conference speaker, inside and outside of TD. Join Lesley to learn how TD has effectively matured data governance through Stakeholder engagement, education, and involvement in OCDO programs. Hear how TD is creating a culture of data, starting with Data Stewards and building knowledge and awareness across the bank. Mitch’s current roles/skills includes but is not limited to: Leading strategic direction on reference data and client data within Asset Servicing in line with strategic direction of the business, elicit and compile information needed to clearly understand data issues and implications, be the lead team trouble-shooter on issues affecting data projects, and business Analysis of data project teams needs and demands. Mitch is a highly experienced financial markets professional with experience of BAU and Change roles on the buy and sell side of financial services organisations. He has undertaken both business analysis and project management roles to support the design, specification and implementation of new operating models and technology solutions. Mitch has extensive domain knowledge of Asset Servicing, including Corporate Actions, Settlements, Reconciliation, Reference Data and Market Data. He possesses strong analytical skills and a detailed understanding of front to back business process. Mark Whitcroft is one of the Founding Partners at Illuminate Financial Management. Prior to Illuminate, he was an EIR at StartUpBootCamp FinTech London, on the Industry Advisory Board of ValueStream Labs and a mentor for Deutsche Bank in the Accenture FinTech Innovation Lab in New York. Mark spent twelve years in various fixed income capital market roles at Deutsche Bank and HSBC based in New York, Singapore, Hong Kong and London. He has been an early stage FinTech investor since 2010 and currently sits on the Board of Directors of Illuminate portfolio companies AxeTrading, ChartIQ, Privitar and TransFICC. Mark has a BSc in Human Sciences from University College London and is currently on the Program for Leadership Development at Harvard Business School. Robert White is Santander's director of payment industry oversight. With over 18 years’ experience at Abbey National/Santander his responsibilities include overall governance and control for payment and card operations across the UK bank, as well as defining the strategy for the interbank and cards environment. Prior to Santander, Robert worked for Manchester Airport plc, developing the business model for the terminals business strategy. Robert is also a director of Bacs Payments Schemes Limited, Faster Payments Scheme Company and Mobile Payments Service Company. Responsible for setting standards policy and strategy and representing the UK on payments in Europe and globally. Working with a wide range of stakeholders to share payments knowledge and expertise James also leads the International Organisation for Standardisation (ISO) on ISO 20022. He also works closely with SWIFT and other industry standards bodies across the world. James has worked across a number of functions, including senior roles in industry standards, government engagement and regulation. Previously he worked within the retail sector, developing solutions for cross border trade and supply chain efficiency. James holds a Bachelor's degree in Engineering and a Master's degree in Organisational Behaviour. David Barber is Professor of Machine Learning at University College London and the Alan Turing Institute and is the Director of UCL's centre for Aritificial Intelligence. David is the Chief Scientific Officer of re:infer -- a deep learning startup focussed on solving conversational analytics and automation. David is fascinated by Artificial Intelligence and how to make computers smarter. "We live in exciting times with rapid increases in data and compute resources. How can we use them to solve grand challenges in AI like understanding human language, imagery and video." David has been at the forefront of AI research throughout his career. David Barber received a BA in Mathematics from Cambridge University and subsequently a PhD in Statistical Mechanics approaches to Neural Network analysis from Edinburgh University. Mike is a strategic advisor to the Enterprise Data Management Council - a business forum focused on data content management, best practices, ontology and standards in the financial industry. He previously held the position of the Managing Director of the EDM Council from its formation until 2017. Mike is recognized as an expert in content management, reference data strategy, governance, quality and content engineering and has been providing strategic advice to financial industry participants on the requirements associated with managing data as a business asset since 1985. He served as a member of the SEC Market Data Advisory Committee, the CFTC Technical Advisory Committee, various ISO Working Groups and the Financial Stability Board’s Advisory Group for LEI. He was a two-term Chair of the Data and Technology Subcommittee for the US Treasury’s Financial Research Advisory Committee. For the past three years, Mike has been on the faculty of Columbia University teaching master’s degree candidates about the principles, practices and operational realities of data management. Anthony is Head of ICE Data Services for EMEA at Intercontinental Exchange (ICE). ICE is a Fortune 500 company and a leading operator of global exchanges, clearing houses and a provider of data and listings services. In his role, Anthony is responsible for driving the growth and success of the ICE Data Services business in the EMEA region. He was previously Head of Business Development for the company, based in New York. Anthony joined ICE in December 2015 as part of the acquisition of Interactive Data by ICE. At Interactive Data Anthony held several positions including Managing Director for Strategy and Product Management. Coming from a banking and trading background, since 1994, Norbert is coinciding with the initial projects of Basel I, where a lot of emphasis was put on cleansing timeseries as input to the internal model. He was able to move the solution towards price and data cleansing and introduced the notion of Golden Copy in the mid-nineties and the company created a centralized concept of master data management. Having joined NeoXam today as a Senior Business Development Manager, Norbert discovered that DataHub had conceptually solved some of the short-comings of centralized master data management, which makes it the only solution capable of serving both banking and asset management fully. Coexisting with safe Cloud solutions, it now enters the challenging realm of Managed Master Data as a Service. A highly motivated self-starter, with extensive experience in both line and change management roles. A successful track record in finding intellectual solutions to business problems and implementing new technology to support new businesses, improve process and deliver cost benefits. Proven leadership skills; involving managing, developing and motivating teams to achieve their objectives. Excellent communication skills; able to work with all levels of staff and management within an organization. Passionate about developing talent and ensuring that people have the right skills to be successful. Harry Chopra is the Chief Client Officer of AxiomSL. He joined the company in 2017 and is based in New York City. Bringing more than 30 years of experience in global sales and financial services, Harry is responsible for overseeing AxiomSL’s global business development efforts, implement go-to-market stategies and build worldwide client-driven growth.Prior to joining AxiomSL, Harry was the Chief Commercial Officer for Credit Benchmark, where he developed the concept of consensus credit estimates by working with the Chief Risk Officer and Chief Credit Officer community across national, regional and global banks. Before that, Harry led the global sales and client services function for S&P Capital IQ. Besides these roles, he also served as the head of International Retail and head of Institutional Marketing at Citigroup Asset Management. Harry received his Bachelor of Art in Mathematics, with a minor in Economics, from the University of Delhi, and he holds an MBA in Marketing and Information Systems from The University of Michigan. Olivier is a partner in EY’s FSO team, focused on developing our Financial Services Cloud business and our Cloud solutions. Olivier joined EY from Google where he was a founding and executive member of the Google Enterprise (aka Google Cloud) team and acting Google Enterprise CTO in EMEA. Olivier has over twenty years’ experience in selling disruptive technologies at C-level in Enterprise, assisting regulated and non-regulated customers at paving their journey to the Cloud, working in both Silicon Valley and European hubs. Originally Olivier was a data scientist, working at The European Organisation for Nuclear Research (CERN). He then joined several leading Enterprise players: small and large; Trilogy Software Inc., HP Software and EMC Documentum. Roy Kirby is the Head of Product Propositions at SIX Financial Information and has been with the company since 2015. In this role, he is responsible for identifying and responding to market trends and customer requirements across all financial markets globally. The product team for which Roy is responsible is currently focused around the areas of regulation, asset servicing and corporate actions. A core responsibility of his team is to provide thought leadership and expertise to define solutions that mitigate clients’ risks, improve profitability and improve efficiency. Some notable topics include MiFID2, FATCA871m, Solvency2, cross border taxation, security master files and corporate action workflow. Prior to joining SIX Financial Information, Roy spent 18 years in various roles within the financial markets. Ian is CEO of Gresham Technologies plc, one of the UK’s most exciting listed technology firms. Ian brings over 25 years’ experience in business and technology and is a trusted advisor on data and analytics projects with global financial institutions, corporates and governments. In 2017 he was voted into the UK’s top 10 data entrepreneurs by Information Age, and in 2018 Gresham won a Queen’s Award for Enterprise for the commercial success of its innovative Clareti platform which is transforming the way firm’s address data integrity and control in financial markets. Prior to joining Gresham in 2015, Ian was Vice President EMEA & AP Business Units at SAS, the global data analytics company and also Chairman of Memex Technology Ltd, a company specialising in intelligence data management. He is currently Chairman of Outthink, a cyber security and human risk management company. Ian has a BSc honours degree in Civil Engineering from Southampton University. Ben Marsh, iMeta Technologies CEO is responsible for the strategic and commercial development of iMeta and its on-boarding and client lifecycle management platform. He has over 20 years’ experience in wholesale financial markets, and a proven track record of delivering complex IT solutions to large financial institutions. Prior to iMeta, Ben held commercial and operations roles at Lehman Brothers, Global Crossing and Reuters. Jason is responsible for Privitar’s research agenda, technology strategy and product development. Before Privitar, Jason led the machine learning team at Touch Clarity, an online behavioural targeting company acquired by Omniture, and then was CTO of Causata, a real-time customer analytics and marketing technology company subsequently acquired by NICE systems. Jason’s early career was in particle physics, including research at Stanford University into the fine differences between matter and antimatter. Colin Mitchell is the Northern Europe and South Africa Financial Services Director for Delphix. Colin has worked in IT for over 20 years with a focus on managing data within large enterprises. Ben leads Synechron’s UK focus on data, analytics and AI. He helps our clients understand and achieve the full potential of the data available to them, to understand how the world of AI and analytics is changing, and to help them to adapt to an increasingly disrupted, connected and fast paced world. 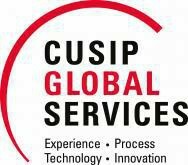 Director - CUSIP Global Services. Darren Purcell has been managing the CUSIP Global Services business in EMEA since 2004. Darren is responsible for developing CUSIP Global Services business and asset class coverage in EMEA, continuing CUSIP Global Services commitment to serving a global audience. Prior to joining CUSIP Global Services, Darren spent 10 years at SIX Financial Information where he was responsible for product management in the UK for a wide range of products including corporate actions, pricing and reference data. Becky Smith​ is Sr. Product Marketing Manager at Denodo, a leading provider of data virtualization software. Becky​ brings over twenty five years of experience working in the enterprise software industry. Passionate about all things data, she has extensive experience gained working for major ​BI, analytics and enterprise application​ vendors. Becky is focused on helping organizations harness the ​ever ​increasing volumes ​and types ​of business data into well governed, yet easily accessible and usable, information ​to drive better decision making. Malavika joined the Derivatives Service Bureau just over a year ago and serves as a member of the management team that operates the DSB. Malavika has worked in the OTC derivatives market for almost 20 years and was previously responsible for the growth and commercial development of LCH.Clearnet’s credit default swap clearing service. Malavika’s experience lies predominantly in building and launching new ventures in the capital markets arena, with skills focused on business modelling, sales, marketing and new business generation. Malavika previously worked at Merrill Lynch for 9 years with exposure to the OTC equity derivative and structured foreign exchange asset classes via product management roles. Malavika is a graduate of London Business School’s Executive MBA programme and enjoys mentoring high-growth, fintech teams. Josef Sommeregger is Managing Director for Europe, and Chief Commercial Officer at AIM Software.at AIM Software, a leading provider of data management software to the buy-side. A company co-founder and member of the board, Josef plays a key role in spearheading AIM Software’s commercial strategy. Based at the firms’ global headquarters in Vienna, he is also responsible for all efforts to grow, implement and service AIM Software’s global and regional clients in EMEA. Josef holds a master’s degree in International Business Management from the Vienna University of Economics. Investment banking technology professional working within the industry for over 20 years. Specialising in front office, risk and P&L control technologies. Have taken on various roles from Front office business management to running major technology change / development programmes. Aiming to provide quality solutions to the front and middle office investment banks. Specialties: Front office risk and control data management technologies. Risk Data Warehousing and reporting, Real-time Risk and P&L analytics, Investment banking risk metrics, Data Distribution and calculation, counterparty credit risk and liquidity risk. Jan Ulrych is a data consultant with more than 10 years of experience working on data management and data governance projects. He's a database engineer by education, but he quickly evolved into a recognized integration architect, with clients such as DHL, Thomson Reuters, and Moody's under his belt. He currently works for MANTA, the data lineage automation company. At MANTA, he's responsible for business development, particularly in the customer success area — making sure that proof-of-concepts and deployments all over the world are running smoothly. This unique perspective allows him to understand each customer's complex story — their business needs on one side and technical background on the other. Hervé G. VALENTIN is Head of Reference Data at SWIFT, running SWIFTRef - SWIFT’s global reference data utility since 2015. Before that, he has been involved in various roles in product strategy - in particular securities markets, business development and partnership. Before joining SWIFT, he worked for JP Morgan and Euroclear Bank managing the network of custodians banks and CSDs. Hervé holds a Master degree in Management Engineering (Commercial Engineer) from Université Catholique de Louvain (Belgium) and holds various Certificates from e.g. the International Capital Market Association in Switzerland, Vlerick in Belgium and I.E.S.E. in Spain. Francois provides technical leadership during a period where Hitachi is transforming from providing horizontal platforms to vertically optimized solutions focused on Data Integration, Analytics and IoT solutions. He works with customer decision makers from Banking, Financial Services, Insurance, FinTech and RegTech Firms to understand business drivers and challenges, identify synergies with our strategic partners, and develop compelling vertical propositions. Prior to this role he worked as the CTO for Vertical Markets for EMEA and the CTO for Platforms and Infrastructure for EMEA. The Banking and FSI vertical is Hitachi Vantara’s largest global segment and accounts for more than 40% of EMEA revenue. Our biggest goal this year is to expand our regulatory data management frameworks beyond Banking into the Insurance sector to add focus on IFRS 17 and beyond. Eddie is a long-term specialist in Financial Services with over 30 years of experience in the IT industry. He has worked in many sectors, including retail banking, life assurance, corporate and investment banking, post-trade securities services, payment cards and credit reference. He also has a keen interest in the roots of financial services in the UK, and their relationship with the social history of the country. His experience with IBM has taken him around the world with significant amounts of time spent in South Africa, Central and Eastern Europe and the major European economies. He has a strong network of contacts, not least with the challenger banks and post-PSD2 service providers. Eddie has served on Pay.UK’s Participant Advisory Council since July 2018. He is also Co-Chair of the Financial Services Council at techUK. Prior to joining Lloyds Barry spent most of his career in increasingly senior positions at a range of businesses and industry sectors focusing on insight and analytics capability development. Businesses include Proximity, Vanquis Bank, EY, PwC, Virgin, Bupa and Amlin. In his current role Barry is responsible for enterprise-wide data and analytics strategy. I am an experienced senior strategist and architect, delivery team leader and manager of change projects within financial services. With a broad and deep knowledge of the domain, its systems and processes I have operated at senior levels for many years. With expertise and passion in data and technology and being a life long learner I can explain complex concepts in simple ways to bridge any gaps within a business. I appreciate how important great data is and how automation with technology can help solve business problems and support business improvement. This has all been enabled with strong stakeholder management skills. Also I have a proven track record of delivering large complex projects and working with senior stakeholders in constructing innovative strategic plans. I am now looking to use all my experience in a new opportunity. Bill joined Citi in 2015 and is responsible for the overall data strategy of the Custody and Fund Services business including client-facing online tools, performance measurement, risk analytics and investment compliance. Prior to Citi, Bill was with J.P. Morgan as Managing Director and Global Head of Investment Information Services. From 2006–2013, Bill was with State Street Financial where he was Senior Vice President and global head of State Street Investment Analytics (SSIA). During Bill’s tenure with State Street he led the growth of the analytics business from $5 to $11 trillion in assets under measurement. In 1997 Bill was tapped as CEO and President for Russell/Mellon Analytical Services, a position he held from startup through to full acquisition by Mellon Financial in 2005. Prior to the formation of Russell/Mellon, Bill was with Mellon Trust (and The Boston Company) organization for 18 years were he had various management roles in the performance and analytics business including IT, client service, sales, product management and group head. On three separate occasions, with three different organizations, Bill has had the privilege to lead the effort to become world’s largest provider of performance analytics services, as defined by assets under measurement. During his career, Bill has held numerous board of director positions including Russell/Mellon Analytical Services LLC in the U.S., U.K., Canada, and Australia (as chairman), Elkins McSherry Inc. (as chairman), Complement AG (as vice chairman) and Allocare AG. Bill graduated with a B.A. in economics and a minor in computer science from Westminster College in New Wilmington, Pennsylvania. Clair has 20 years’ extensive experience operating at board level in a number of complex organisations. These include asset management firms, public sector organisations and more recently regulatory and supervisory bodies in the financial services sector. She currently works closely with the Bank of England Chief Data Officer to ensure that the Bank’s approach to data management is a continuously smooth process. Experienced banking professional with strong business and data architecture background currently responsible for defining and delivering the group data strategy for Credit Suisse. Previously responsible for Reference Data architecture across Client, Financial Instruments and legal Agreements. Played other roles such as Finance IT architecture, Program delivery manager, Global development manager for OLAP & BI functions with Credit Suisse in Singapore. Previously an experienced data warehouse and business intelligence specialist. Kelvin is responsible for leading a Customer focused product roadmap to ensure KYC/AML and vendor/third party due diligence compliance with a range of regulatory requirements. Prior to joining Opus in 2014, Kelvin was at Dun & Bradstreet for 9 years. most recently as Managing Director of Compliance Solutions and previously as principal consultant for several of D&B’s strategic Customers, leading engagements in Compliance, reference data, credit review and risk management. Before joining D&B, Kelvin spent a combined 20 years in Compliance, Credit, Loss Prevention and Managerial roles at two major financial institutions where his responsibilities included developing CIP policies, procedures, data sources and technology solutions to meet the requirements of the USA Patriot Act. Kelvin is a member of the charter class of Certified Financial Crime Specialists and is a current member of the advisory board at the Association of Certified Financial Crimes Specialists. Gavin leads the data management practice at Sapient Consulting, where he is responsible for the collation and generation of best practices, thought leadership and strategy. He has a proven track record of solution design, business case definition and strategic roadmap design. In his prior role to joining Sapient, he was the global head of product management for Enterprise Data Management (EDM) at Thomson Reuters, leading a team to build an advanced data management platform, managed a multi-vendor feed handler factory, led enterprise solution architecture engagements, owned the requirements, was responsible for the roadmap and was responsible for building a canonical data model and best practices for the financial markets. Specialties: Enterprise Data Management, Data Strategy, Agile Data Governance, Data Architecture, Data Quality, Data Operations, Reference Data, Market Data, Product Management, Idea Generation, SDLC Management, Program Management and Project Delivery, Enterprise Integration Technology and Methodology, Project Management (Agile), Solution Architecture, Requirements Management, Technology and Operations Strategic Planning and Execution, Process Engineering, Financial Services, Meta-Data, Semantics and Ontology. Senior Technology Manager with 15 years of financial industry experience, across a range of asset classes, technologies, and functional roles. Extremely strong background in client-facing eCommerce and Distribution Platforms (having delivered on LehmanLive, Barclays Capital Live, and Citi Velocity). Current role is in Investor Services Technology as the Global Head of Client Experience. An extremely passionate motivator and team player with strong leadership (including building and maintaining top-tier teams), communication, stakeholder management, adaptability, decision making, problem solving and interpersonal skills, together with a results-driven attitude. Dr Ljubica Lazarevic is a field consultant at Neo4j, the world's leading graph platform. Prior to Neo4j, she was an Enterprise Architect, driving innovation across the data space. Ljubica is a advocate of the power of connected data, helping organisations get the most of their most important asset. Gary LaFever is Co-Founder and Chief Executive Officer at Anonos. Anonos BigPrivacy, recognized as Gartner Cool Vendor technology and highlighted by IDC in numerous reports as GDPR certified technology, uniquely overcomes the shortcomings of other solutions that were "good enough" before the GDPR but fail to support new requirements for compliant Big Data analytics & AI. Anonos’ GDPR certified technology uniquely enables legal analytics, AI and ML by reconciling conflicts between protecting the rights of individuals and achieving business objectives to use, share, combine and relink data in a compliant manner. Gary was formerly a partner at the top-rated international law firm of Hogan Lovells and a Management Consultant with Accenture, the global management consulting and professional services firm. Mr. Davies joined Bloomberg PolarLake after working as a senior technologist in Investment Banks. Mr. Davies has a background in developing real-time, distributed trading/risk management systems with a focus on modelling and quantitative/analytic development. Mr. Davies has a Physics degree from the University of Warwick, plus a Post Graduate Diploma in Quantitative Mathematics from the University of London. Ethan is Product Specialist at AIM Software and globally responsible for the development and management of GAIN Data Portal, AIM Software’s award-winning Business Application dedicated to the efficient and compliant sourcing of market and reference data from popular data vendors. Ethan joined AIM Software in 2017 and is based in New York. Before joining AIM Software, Ethan was Managing Partner at a web development firm that specialized in custom web applications and user interface designs. Prior to that, Ethan has held senior Business Development and Product Management positions at firms including Southwestern Company and Headstrong. He holds a Master’s degree in Information Science from the University of Washington. Georgia has built her expertise in data and analytics. Her passion is assisting organisations create innovative business strategies by unlocking the value of their data and turn it into insights using AI technologies such as prescriptive, predictive, optimisation techniques and machine learning. She is leading a team of specialists that are advising customers on how to solve business problems and bring innovation whilst adopting multi-cloud strategies and embracing new and modern open platform standards to reduce cost, automate processes and deliver quick time to value. She has worked across many sectors and has spent a significant part of her career working with Tier 1 Banks. As the regulatory compliance solutions lead for IBM, Jon is responsible for defining and delivering solutions to clients leveraging the breadth of IBM’s capability. These solutions include advanced analytics, machine learning & AI, business change consulting, technology implementation and regulatory advisory services across subject areas such as Privacy/GDPR, AML/Financial Crime, Conduct & Supervision, Regulatory Reporting & Change Management as well as data quality monitoring and operational data governance. Jon has over 20 years’ experience in information management, data quality management, data governance and analytics, gained through his work for both software vendors and global consultancies across a variety of international financial services clients. During the course of his work, Jon has advised senior business officers at a variety of global financial services firms on programmes linked to GDPR/Privacy, Market Abuse Regulation (MAR), FATCA, KYC/AML, BCBS239, Dodd-Frank, CCAR, Basel II, Solvency II, customer deposit guarantee (FSCS) and credit risk data assurance. Prior to his role at IBM, Jon was Vice President for Strategy Consulting at Trillium Software and has held senior consulting positions at both HP Consulting and Deloitte LLP, where he was the data quality lead within the Enterprise Risk practice. Ethan is Product Specialist at AIM Software and globally responsible for the development and management of GAIN Data Portal, AIM Software’s award-winning Business Application dedicated to the efficient and compliant sourcing of market and reference data from popular data vendors. Ethan joined AIM Software in 2017 and is based in New York. Before joining AIM Software, Ethan was Managing Partner at a web development firm that specialized in custom web applications and user interface designs. Prior to that, Ethan has held senior Business Development and Product Management positions at firms including Southwestern Company and Headstrong. He holds a Master’s degree in Information Science from the University of Washington. Ben joined M&G Investments in 2003 and is now Head of Sustainable and Impact Investing, responsible for developing M&G’s sustainable investment activities. With the launch of the M&G Positive Impact Fund, Ben will be taking the Impact lead alongside fund manager John William Olsen. Ben has been central to the development of ESG integration within M&G’s investment processes and has supported the development of ESG solutions for clients across asset classes. He sits on M&G’s Responsible Investment Advisory Forum, overseeing ESG-related activities at M&G, and is a member of the Investment Association’s Sustainability & Responsible Investment Committee, chairing the Working Group on non-financial disclosures. Previous to M&G, Ben spent four years with the Equities team at Invesco Perpetual. Ben graduated from the University of Newcastle-upon-Tyne with an Honours Degree in Classics.